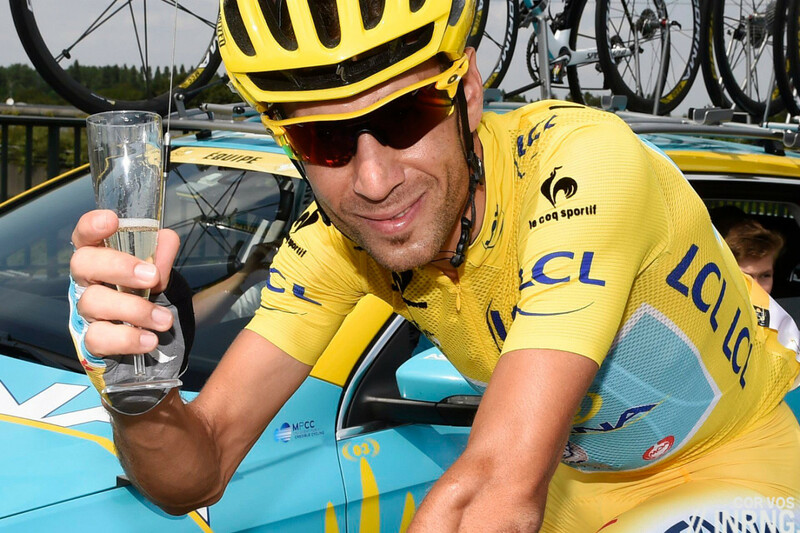 Who are the wealthiest people in cycling? It’s not the riders, it’s the people who pay their wages. In the second part of the series, time to look at more team sponsors but also race owners and others. James Murdoch is Team Sky’s greatest fan. A keen cyclist and heir to the Murdoch media empire, he was instrumental in Team Sky’s genesis while working for BSkyB, a British entity within the conglomerate. He’s left London, via a scandal over media ethics, and is now Chief Operating Officer of 21st Century Fox which goes a long way to explaining why the British team place great store on the Tour of California. Sky’s sponsorship looks set to continue despite James’s US role and this is no personal fiefdom, the spend on a cycling team is a corporate marketing decision rather than the whim of a sugardaddy. It’s cheap too, if Team Sky is one of the wealthier squads in the World Tour its budget of £22 million is just 2% of BSkyB’s marketing budget. 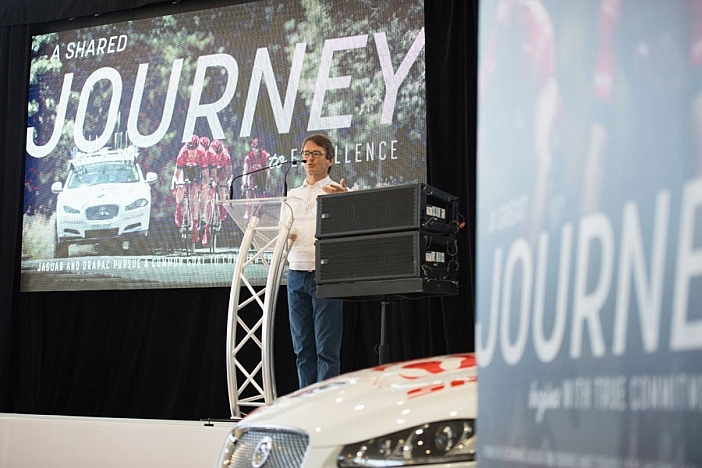 Cool corporate planning but there are perks for James Murdoch, expect to see him in the team car for Paris-Roubaix and a big mountain stage of the Tour de France. He’s said to have ideas on the reform of the sport. 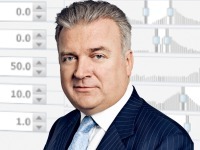 Kim Fournais and Lars Seier Christensen are the tandem founders of Saxo Bank. The Danes are not cyclists but saw the sport as a useful marketing opportunity in the wake of Bjarne Riis’s publicity in Denmark. In time the fast expansion of cycling in places like Britain means sponsorship has been a useful means to win corporate clients for their currency trading platform. Despite the name Saxo Bank isn’t really a bank, rather a software platform or even upmarket bookmakers where clients can speculate on currency markets and other financial markets. They’re said be going for good at the end of the year but we’ve heard that before. Several times they’ve said they’re pulling out only to remain sign up for one more year, presumably impressed by the publicity on offer as Riis builds his teams. I don’t know how wealthy Michael Drapac is, the figure is hard to track down. But he’s made a fortune over the years as a property developer in Australia and the West Coast of the US. Some of this is being spent on the eponymous Drapac Pro Cycling team. Another wealthy man with so much money he spends it on his hobby? Yes and no as the team is much more than a glorified version of Velogames. The Australian Pro Continental team puts a big emphasis on life beyond cycling with riders encouraged to study and regularly reflect on retirement. This is a philosophical leap from the short termism apparent in cycling and practically every other sport and makes for a fascinating case study. In his words “medals are just a by-product” of sports, the idea being that true success is having a fruitful pro career but then being able to enter the real world with skills and self-belief and for more on this his speech on the team launch in 2014 is worth a read. So perhaps his bank account or balance sheet doesn’t matter? 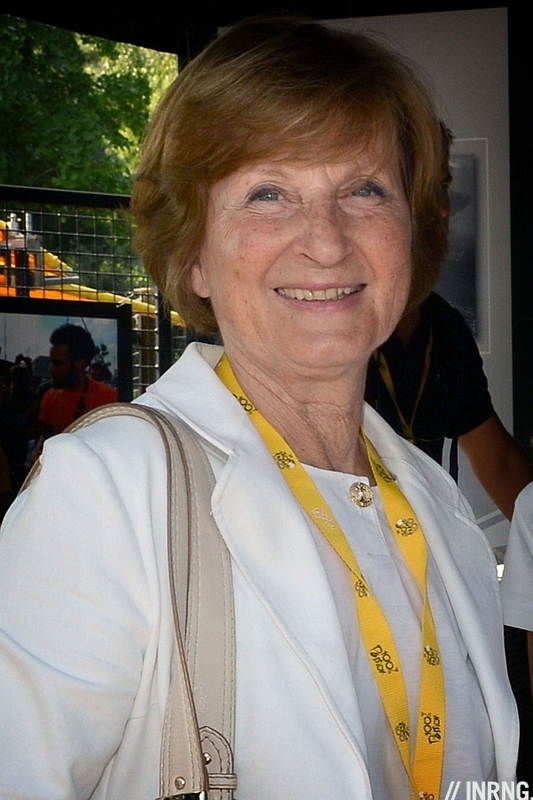 Christian Prudhomme is Monsieur Tour de France but he’s merely a salaried employee of Amaury Sport Organisation, ASO, a subsidiary of the Amaury Groupe, a family business owned and controlled by Marie-Odile Amaury who took over the reins when her husband died in 2006. Readers probably know ASO owns the Tour de France but it also runs other sports events like the Paris-Dakar race, the French Open golf tournament and the Paris Marathon and they also added the Vuelta recently too. ASO is just a component of a mini media empire with Le Parisien, France Football and L’Equipe newspapers, a photo agency and more with a total of 3,100 employees and income of €670 million a year, of which the ASO provides €179 million, roughly one quarter. The Amaurys have boosted control over the business, buying out 25% shareholder Arnaud Lagardère but tales of the business being up for sale are doing the rounds again. If the Amaury family stays on then son Jean-Etienne Amaury is being groomed for the top job. He trained as a software engineer and spent several years working discreetly on Bloomberg’s IT systems in London before leaving to do an MBA at Stanford University and then assume a role in the family business. Nobody is getting rich running races. After ASO comes RCS but there’s no single millionaire mogul pulling the strings here, instead it has RCS MediaGroup has diverse shareholders; besides the Giro and other races are not making big profits either. But Wouter Vandenhaute is doing well in the niche market of Belgium, a journalist and TV producer he’s made his money and branched out into other activities. He’s got fingers in many pies, literally so with ownership of restaurants but also Humo magazine and SBS television in Belgium. For cyclists, he owns 50% of Flanders Classics, the business that owns the Tour of Flanders and other classics. The other half is owned by Corelio, owner of, among other things, the Het Nieuwsblad newspaper. 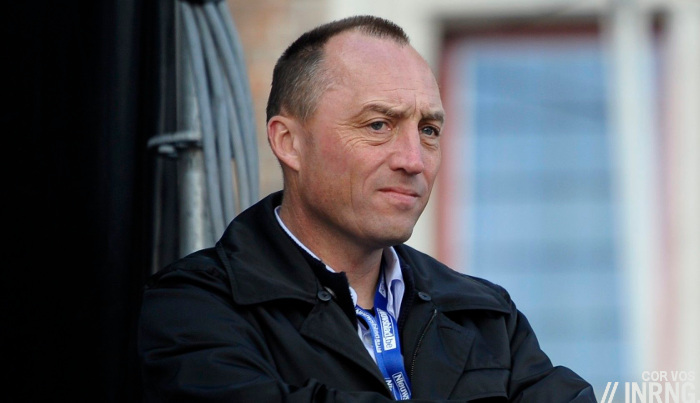 Vandenhaute’s transforming the sport in Belgium behind the scenes, famously he took the Tour of Flanders finish away from the Kapelmuur to the Oude Kwaremont and Paterberg so he could install VIP zones and extract more money from ticket sales. 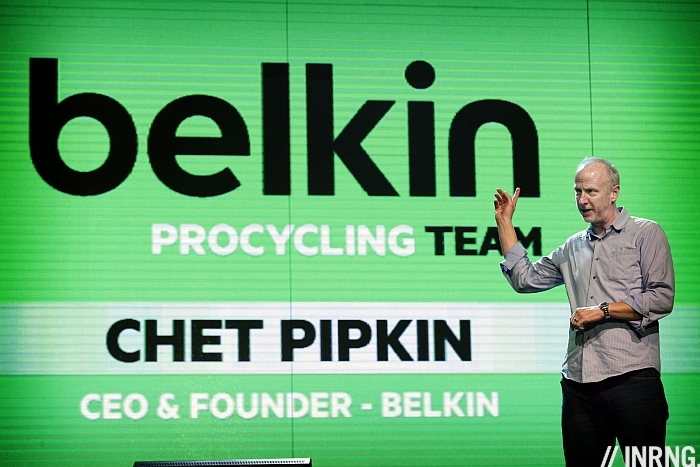 Chet Pipkin’s foray into pro cycling was brief, the Belkin billionaire found the sport’s international reach, or rather the lack of it, wasn’t for him. But others haven’t made the cut here and like all lists, you inevitably exclude some. Mike Sinyard sponsors three World Tour teams; John Burke at Trek and King Liu have one each but if their brands are very present, they’re not so visible in the sport itself. The Galbusera family aren’t big names but owning laminated steel maker Lampre gives them the wealth to back a pro team for 20 years. Doug Ellis has been a generous backer of Slipstream but his wealth doesn’t put him in the same bracket as others above. The are wealthy people behind the Astana team but separating individuals from the Kazakh state apparatus is hard, there’s no one figure to point at. This two-part piece isn’t to wow at wealth. Instead it explains the backgrounds of some of those sponsoring the sport, an introductory “follow the money”, highlighting the “sugardaddy” phenomenon. But for all the business brains on board, many of these people are spending with little hope of a real return, highlighting the awkward nature of being a sponsor. They go where corporate sponsors won’t, despite the giant publicity generated by the Amaury’s Tour de France, teams struggle to find buyers for the naming rights and the “real estate” on the team jersey. As long as this continues the future of many teams is linked to the fortunes of a few wealthy men and the markets they operate in. Finally for all the billionaire oligarchs, there are still some things you cannot buy. Surely the Amaury’s are the richest people in pro cycling. Not on count of money or “net worth” but because they own the sport’s prime asset: the Tour de France. As such they’re the ones making money while billionaires are spending it. This is the second part of a two-part series. Part I is here. ” keen cyclist and air to the Murdoch media empire”. Typo: Heir to the Murdoch media empire. From Pedantry Corner. Great follow-up, thanks. For me plenty more reasons to seriously question those who want to “fix pro cycling’s business model” as they’re so fond of reminding us. When you think about how much profit any one of these teams might return, it’s a paltry sum compared to the vast wealth of these characters. They don’t seem to care a whit about making any money – it’s either passion or some other opportunity the sport provides that gets their interest. Would all these backers stay in if the sport was “improved” in the ways Velon seeks? I wonder. If not, who would take their place? But it is the current situation of most of the “organized leagues” in North-America (NHL, NBA, NFL, MBL, etc. ), or Europe (soccer/football teams owned by russian oligarchs, etc.). It is rich people buying teams because they love the sport. The only difference is that they are making profits. IMO, the problem with cycling is not the ownership, the ‘sugar daddys’, but the profound (dis)organization of professional cycling. Suspicious? Not really. But cycling does offer naming rights and big real estate on the kit and more and this should be appealing for corporate sponsors and marketing campaigns, only they’re not coming into the sport. Or at least they’re being outbid by these private billion/millionaires. Good luck to them, I’m sure if many a reader became wealthy overnight they’d want to put some funds into the sport. I know you’ve noted it before, INRNG – we know that doping scandals and their spectre does put off some potential sponsors. Barclays in London was looking to put more money into sports sponsorship not long ago, and road cycling was dismissed as too ‘risky’. OTOH the rich guys with their passion for cycling tc aren’t put off. Or in the case of the likes of Andy ‘I was shocked, I had no idea anyone on my team was doping’ Rhis, will keep on funding, come what may. Exactly and that is the difference. With the exceptions of Bjarne’s sale to Oleg, has any money ever really been made in cycling through an appreciation in asset value? On the contrary, an existing team is such a poor asset, nearly all teams start from scratch. Other major sports throw off so much revenue that the ownership of the assets can indeed be a spectacular investment even when advertising placement revenue offered by teams is forgone as in the case of major U.S. sports. If anyone remembers the case of Don Stirling, he owned a team so underfunded and poorly managed it would have been long bankrupt if it were an actual business, but was paid a fantastic sum at firesale rates just because of the overall success of his ‘sector’. Yes, If I do ever find that pot of gold I will build a team. INRNG, I will need a strong candidate to run my media presentation. Know anyone? Are you writing about the Los Angeles Clippers NBA team? That’s the kind of pipe dream behind the Velon group I fear. They want to create franchises that can be bought and sold vs letting anyone with the dough start up a pro cycling team. I hope pro cycling never ends up like any of the North American stick-and-ball sports with their huge public-funded stadiums, anti-trust exemptions, etc. I’m not sure that a sport which takes place almost entirely on public roads can really criticise others for having tax payer-funded venues? Witty reply, indeed, but just very few roads have been built for cycling’s sake, while that’s what happens with stadiums. And even if some of the latter may (or may not) find some kind of public function afterwards, private sporting teams aside, nevertheless the main benefit concerns the team playing there, whilst the percentage of public use and pro-cycling use of any road remains fairly unbalanced in favour of the first. We could even add that cycling’s presence many times forces long-due public interventions on those same roads, which the citizens may have been asking for along months or years but which cycling races can achieve as a part of the negotiations to get the race there. Speaking of assets, who ever bought the parts to Euskaltel after Alonso pulled out and they folded? Exactly my point. I wanted to include this in my response but tried to keep it more focused. That there was not a queue of suitors at ANY price says a lot of the true value of a team. INRNG, you know if there was any asset value more than the sum of it’s used service course? I don’t think there was much left, they were a small budget team and I remember they had to sell one team bus to fund rider wages in their penultimate season. Part of the problem is that cycling was, and maybe still is (but things they are a-changin’), a sport with an impressive personal focus, because of many factors: not just with regard to athletes, but even to the team organisation aspect. And – what’s even worst 😉 – cycling’s got (had got?) quite a good number of well-informed fans, with a disposition to look beyond the marketing-branding smokescreen. So many times what mattered wasn’t the “franchise”, the “name”, the “brand” or even the “society”, but the so-called” structure”, that is, that specific group of persons, or even *that* specific person, which represented the real core of the team, often mixing the role of owner, team manager and DS. It depends or depended on a certain lack of professionality (and maybe general wealth of the sport 🙂 ), that’s for sure, but even more on the peculiar “closeness” that always characterized cycling. You can talk to these persons before and after races, you know, or when they’re following riders out training on *your* home roads. You meet them in bars and the such. Thus, the cycling fan was used to consider that no matter the name on the shirts, you were speaking of the project created and led by Unzue or Ferretti or Bruyneel or Stanga or Amadio or Riis… I’m purposedly naming cases with more or less continuity in “corporative” terms. That means that once those persons are out, there’s no much left to buy because they themselves are *the* asset. The Euskaltel case is slightly different, but similar “in spirit”: cycling fans know what Euskaltel was, how it worked, what it meant. Buying a “virtual brand” or a “society” or “its licence” is useless because that team was much more than that, and people would just notice. See what happened when they needed to “buy” riders they hadn’t brought up just for WT points’ sake. On the other side, it’s interesting that it was exactly an “excessive” disposition in favour of the sponsors that destroyed the possibility to create more value: the whole identity of a team, personal component aside, was sold to the sponsor. We totally identify teams through their sponsors’ name. In fact, a team practically doesn’t (didn’t) exist as such: on the one hand you have the “structure”, slightly paradoxical term, since there’s nothing “structural” i.e. “thinkable as an abstract oganisation”, but one or more persons you knew by name who were responsibles of every aspect of team managing. And, on the other hand, you have the sponsorship. Fairly nothing in-between. How can be an asset something which doesn’t exist? As I’ve been saying, that’s changing. For example, it’s changing through the increasing separation of roles between TM and DS, which allows a greater “circulation” of DSs in the market, a little more similar to what happens with footbal managers; or a more evident separation between property and management, as in Riis case or in Bruyneel’s Astana before that. But we should also note that the personal element is still deeply rooted in cycling, even now. Tinkov-Saxo is Riis + Tinkov, and the team’s identity is bound to these two person. Sky and Brailsford. Vaughters. Astana and Vinokourov (who had to fight hard to prevent it becoming a “brand team” when he was out, now the personal component is totally there). And so on. If you take out that personal element, the team is not the team anymore, so what are you really selling? PS Another interesting history would be about the way cycling fans had to root for riders, not teams. And, more generally speaking, an attitude – which is being lost, too – of respect towards all “opponents” which makes a bit harder conflicts between built up team identities (think about football). But those conflicts are a powerful drive to build and strengthen a team brand you can then sell as an asset. +1 Sam for linking the doping issue to lack of commercial sponsorship – something everybody except some fools at the heart of the sport realize. I am not so sure that the demographic of sponsorship money has changed as much as everybody appears to think. Looking back over the years, there have always been wealthy people, many with their own companies, and with an interest in bike racing, investing in the sport. In some cases the attention obtained by the team reflecting on the individuals concerned. In other cases an individual, who is also a fan, with influence over a company advertising budget is far from unknown. It has never been easy to raise sufficient financial support to run a top team, even when budgets were a fraction of today’s. But it has never stopped people from trying. It’s good to hear about Michael Drapac’s emphasis on life beyond cycling. I often wonder if the pros have anyone helping them with long-term planning. It seems like having confidence in finding a job after cycling might do a little bit to decrease the pressure to dope. My partner teaches at a small college that has never had a student athlete go on to a pro career, but even there some of the coaches encourage athletes to see sports as their only option. It’s often hard to look beyond the next contract. I read a stat the other day that 60% of Premiership footballers in England go bankrupt after they stop playing, a headline that’s probably got a more subtle story behind it but it shows even the richest athletes in the richest sports often struggle. I very much doubt that statistics is for the whole footballer population, but it has certainly been highlighted recently how many get addicted to gambling and end up bankrupts. Some while still playing, others when the income falls on retirement and the habit cannot be sustained. There are even more horrendous statistics of good players who stop paying attention at school on the basis that a football career makes it redundant and yet the truly successful percentage on that basis is around 1% (there are more who have pro careers but not with huge salaries). Rugby, possibly because it is only recently professional and the possibility of carrer ending injury, is very much focussed on options for afterwards. It is not an easy balance to strike but the more that teams are aware of it the better! I too was pleased to read about Michael Drapacs emphasis on life beyond sport. I became a fan of the team last year during the Tours of Utah and USPro. I am now a lifelong convert and am willing to even buy a team jersey ! In the US upwards of 80% of NFLers and 75% of NBA players are bankrupt or dead broke within five years of their careers ending. When you are a 22 year old millionaire, it is hard to realize that your sports career can end instantly and the only thing you are qualified to do is work as a beer truck driver. Forgot to post as myself. No one owning any team in any sport, at least in Europe, is looking to make profit. The main use is usually the possibilities it opens for contacts, rubbing shoulders, exchanging favours, popularity, and the like. FYI, Mike Sinyard is a Merida employee selling Merida-designed bikes. As much as he may have some budgetary latitude, Merida approves it. I’m surprised you did not link to your own excellent series of articles on the Amaury family. You should edit the above to include a mention and link. An article about the owners of Flanders Classics might be good material for the site. 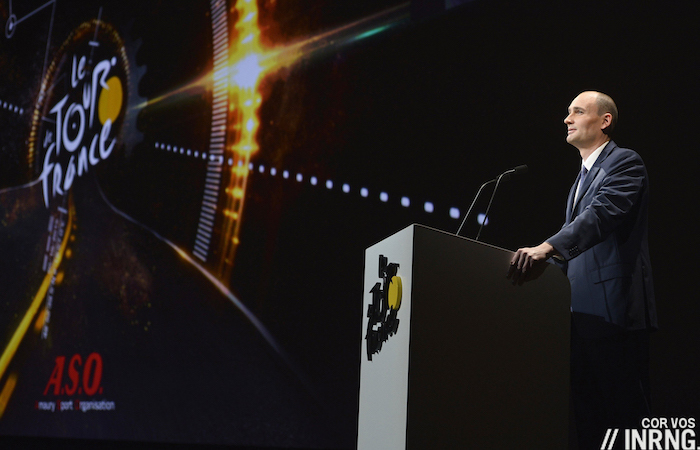 Their role in cycling is probably changing with the reforms in motion at the UCI. As far as I can tell from the internet, Merida owns 49% of Specialized. Not 51%. While probably 99% of the bikes sold with TREK on the downtube are produced by Giant. I loved the Inrng post showing the trio on the TdF podium noting all three of their bikes were made in the same Asian factory, despite the three different brand names. while Merida has a large stake, to say Specialized’ bikes are Merida designed and approved is flatly wrong. 250 or so people gainfully employed in Morgan Hill, CA, USA designing, engineering, testing, approving, painting, etc all prove your suggestion wrong. Are they financed and manufactured/assembled by Merida, maybe. But to call a Tarmac or Stumpjumper the same as a Merida is just ill informed armchair quarterbacking. Love or hate Sinyard, but do not be fooled, Specialized is Sinyard and Sinyard is Specialized. Most of them seem a cut or two above some of the characters who own British football clubs. I can’t see how you could take over a team by loading it with debt for example. Keith, you take over a team by borrowing against the value of the team you are going to buy. For example, a prospective team owner puts up 1 Million, uses 5 Million borrowed against the value of the team to “buy” the team. New owner of the team has to run cheap and lean to pay off the loan. There are some very creative ways to make money off the borrowed money with no intention of ever paying off the loan. Since we are talking about cycling, the number of billionaire hobbyists that visit the sport and leave soon after is so long that any promises about revenue when paying the UCI for the WT license must be a joke. Apparently Saxo Bank have been on the wrong side of the Swiss currency fallout. Add to that Tinkoff’s woes with the ruble and it hasn’t been a great couple of months. ah Saxo, everyone’s favourite. Or as is more commonly known amongst various friends and acquaintances, that bunch of crooks. Are you talking about the cycling team or the bank? Geez, ya gotta wonder what kind of distraction this is for the big-money guys like Pistolero and Hulk? Not just one, but both of the big names on the team kit in financial difficulty. Is there really money set aside to pay off all the fat contracts if Stinkoff goes belly-up? Dont know. Cyclists are very good at living in a bubble, so who knows. Bert’s been making noises about not continuing for too much longer; and Sagan seems to spend more energy on buggering about with wheelies and tricks for the camera even in training, than anything else. Reading the comments below the post you linked, it looks like they’re fra from being only ones with that kind of attitude/problems. I wonder howe many pro cyclists pay into a pension? or does old age never come? so we are told that 1% will soon own more than 50% of the planet. thanks for sharing the views of Michael Drapac. I wasn’t aware of him at all. The world of sport needs more people like him who reaches back to the original ideals of the Olympic Movement á la de Coubertin. Sure, cycling can use some updating but the constant talk of modernizing it scares the heck out of me. I’ve stopped watching mainstream popular U.S. sports because they are just a corporate scam to hook people into spending money, whether on tickets or beer or products. I hate the NFL and NBA. I have no interest in watching the Super Bowl. It’s absolute insanity that D-I football and basketball are allowed to operate on university campuses. Higher Ed. shouldn’t include bringing all those goons, from the players to the ADs to the coaches, onto a premier uni campus. It’s disgusting. Even top-level soccer is getting unwatchable. There are only a handful of teams in each of the top Euro leagues that have any chance of winning the league title. Uneven money. As it stands, cycling is the one sport I truly love to watch and follow. I hope that doesn’t change too much.